When doing the HCG diet plan, it is recommended that you follow Dr. Simeons original diet protocol with a HCG diet plan that is outlined in his manuscript, Pounds & Inches. When doing the HCG diet plan, it is required that you take the drops for a minimum of 23 days without cheating. These 23 days will include 2 load days, followed by 21 days on the low calorie diet with the drops. If you do stray from the HCG diet, it’s recommended that you continue on, but keep in mind that you want to do the low calorie diet for 21 days without cheating. Anytime you cheat on the HCG diet, you jeopardize the resetting of your hypothalamus properly, and it may be hard for your body to maintain the weight loss long term. After you are done with the drops, you will continue the low calorie diet for 3 days (72 hours) without taking the drops. This allows the HCG to fully leave your system. Once you are done with the 3-day period, you can start maintenance. During the first half of maintenance, you will avoid all sugars and starches. You must be very strict when it comes to reading food labels. If products contain glucose, maltodextrin, etc. it is recommended to avoid those until the 2nd half of maintenance. During the 2nd half of maintenance, you can slowly start to work sugars and starches back into your diet. It’s best to start small and work your way up. A good starch to introduce is ½ cup of cooked brown rice. During maintenance, it is imperative that you stay within 2lbs of your last dose weight. The last dose weight is considered your weight on the last day of taking the drops. If you go over the 2lb mark, a steak day is recommended. If you go under the 2lb mark, we recommend increasing the amount of calories that are consumed. An easy way to increase calories is by adding in a handful of raw almonds or sliced avocado to an omelet. Maintenance is just as important as the low calorie diet, because it teaches your body to maintain the weight loss long term. When researching the HCG diet, Dr. Simeons noticed that some foods increased and decreased the amount of weight that was lost while on the low calorie diet. When following the diet protocol, you are allowed 2 servings of protein, fruit, veggies, and either Melba toast or Grissini breadstick per day. There are no substitutes allowed, because they will slow or stall your loss. These foods can be eaten at just lunch and dinner, where you would have 1 serving of each with your meal. Or if hunger and snacking is an issue, you can split up the servings throughout the day. • Beef (This is not an ideal choice of protein.) If you have do have beef, limit it to a lean cut like Round Roast or London Broil. Also for best results, only eat beef 2-3 times per week. • Fresh White Fish (should not be frozen) – Ayr, Catfish, Cod, Coley, Dover Sole, Flounder, Flying Fish, Haddock, Hake, Halibut, Hoki, John Dory, Kalabasu, Lemon Sole, Ling, Monk Fish, Orange Rough, Parrot Fish, Plaice, Pollack, Pomfret, Red & Grey Mullet, Red Fish, Red Snapper, Rohu, Sea Bass, Sea Bream, Shark, Skate, Tilapia, Turbot and Whiting. ** The best place to buy FRESH fish would be a local health food store if you live in a land-locked state. • Very occasionally we allow eggs – boiled, poached or raw – to people who develop an aversion to meat, but in this case they must add the white of three eggs to the one they eat whole. ** We also provide a vegan and vegetarian protocol with your purchase from Your HCG. These can be eaten raw, steamed, grilled or boiled. Do not mix vegetables in the same meal. While on this HCG Diet Plan, it is important to remain focused on eating whole foods. Spices are allowed, but they should be in their natural state. It is not recommended to use spices that contain multiple vegetables because they can slow or stall your weight loss. 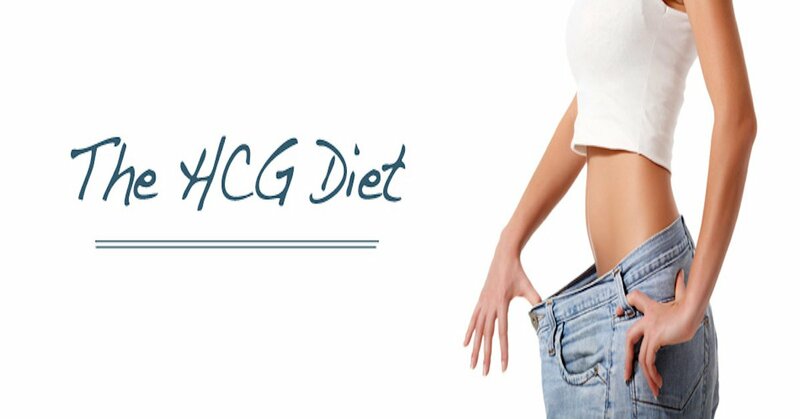 One of the great things about the HCG diet plan is it allows your body to detox from refined sugars and starches. Once you are done with the diet protocol, you will no longer crave sugars and starches. You will feel healthier and lighter than you did before. You will understand food labels and what each added ingredient is. Once maintenance is over, and you have moved past the HCG drops diet, it is recommended to continue a diet that is rich in whole foods, including raw fruits and raw vegetables. Adding in an exercise routine is a good idea too. A lot of people are very busy and find it hard to incorporate exercise, but even 30 minutes a day of exercising will make a difference and make it much easier to maintain your weight loss long term.